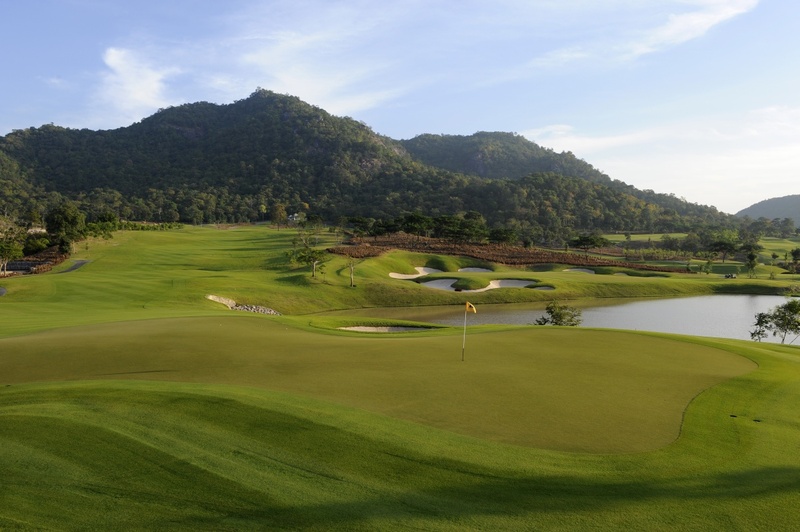 Black Mountain is a Hua Hin Golf Course, challenging for top golfers while at the same time enjoyable and playable to the Hua Hin golf tourist. The Black Mountain golf course is located in a valley within touching distance of the “Black Mountains”, which are so named because of the large rocks set into the mountains. These settings provide a beautiful backdrop to many of the holes. For the Hua Hin Golf tourist, Black Mountain Golf Club Hua Hin has developed course-side villas and condominiums that boast stunning golf course views. Each of the 15 villas and 76 condominiums are complete with the finest quality appointments and are the epitome of luxury in the Hua Hin property market. 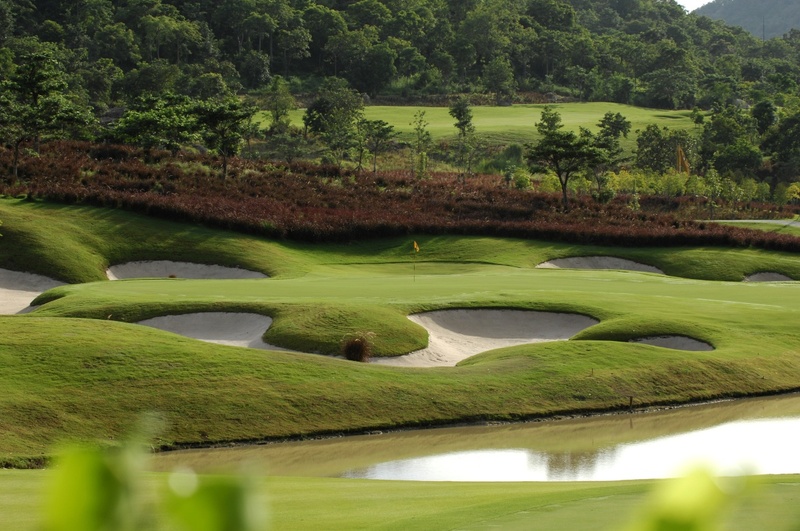 Located 10 km from centre of Hua Hin, the most important features of Black Mountain Golf Club Hu Hin are the natural creeks that run throughout the course and the natural rocks that have been used as design features on many of the holes. As many of the original trees as possible have been kept and many new trees have been planted to frame the holes. The design offers generous fairways for the shorter hitter but becoming narrower for the longer hitter. The greens are large and the course is well protected by beautifully sculptured bunkers. 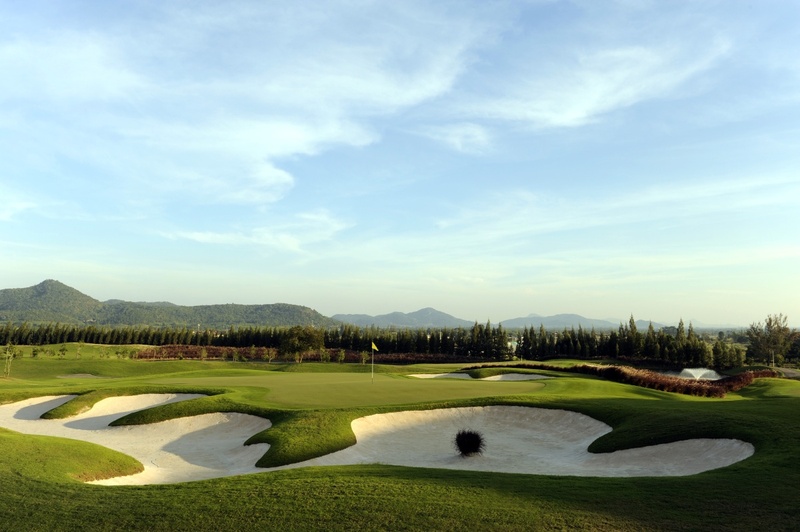 As in all great championship golf courses in Hua Hin Black Mountain incorporates multiple tees challenging the world’s top players yet also allow an enjoyable and fair game for the average and high handicappers on a relaxing Hua Hin golf tour. There are gradual elevation changes as the forested mountains with their abrupt rock (black in color, therefore the name) outcroppings provide the backdrop to the panoramic vistas of the fertile farm land that extends down towards the gulf and Hua Hin.